Rwanda may be known as a safe haven for Africa’s mountain gorillas, but its lush, green forest vegetation and undulating hills make it a haven for nature lovers, as well. Safaris to Rwanda typically span seven days and include such highlights as visits to Lake Ihema, the Vurunga Mountains, Akagera National Park, Lake Kivu, Kigali and Nyungwe Forest. Follow in the footsteps of Dian Fossey with a visit to the Virunga Mountains in northern Rwanda’s Parc National des Volcans, three hours from the capital, Kigali. Comprising six volcanoes, these mountains were proclaimed a protected area intended to safeguard gorilla families. As such, gorilla trekking remains one of the key activities offered in the area. Limited numbers of permits are granted to visitors, and these need to be booked well in advance. Fossey’s grave, memorial and laboratory are located in the area. Cyclists, hikers and keen fishermen will also enjoy an active visit to the Virunga Mountains. The woods and grassland landscapes of Akagera National Park, meanwhile, make it an ideal location for visitors to view large herds of game, including various species of antelope, buffalo, giraffe, elephant and zebra. Travelers will also enjoy sightings of hippos and crocodiles on a boat trip on Akagera’s largest lake, Ihema, which also is home to over 500 species of birds. Birders visiting Rwanda will also enjoy a visit to Nyungwe National Park, which spans more than 600 square miles and is home to 310 bird species, 26 of which are endemic. 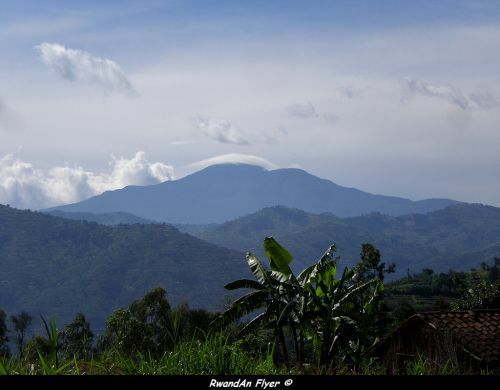 Touted as the largest band of mountain forest in East Africa, Nyungwe is also home to about a quarter of all Africa’s primates, including chimpanzees, Ruwenzori colobus and L’Hoest’s monkeys. The highest point in the park is Mount Bigugu, which climbs to almost almost 10,000 feet above sea level. Activities include primate-tracking adventures and guided hiking and walking treks. One of Africa’s Great Lakes, Lake Kivu, borders Rwanda and the Democratic Republic of Congo and has as its backdrop the dramatic Rift Valley and Virungas Mountains. The lake spans more than 1,600 square miles with three lakeside towns — Cyangugu, Kibuye and Gisenyi — providing tourist transit points between the chimpanzee-tracking destination of Nyungwe Forest National Park in the south and gorilla tracking in Parc National des Volcans in the north. Kigali, the nation’s capital, was established in 1907 as a small colonial outpost. Day tours to the city include visits to a site commemorating the 1994 Tutsi Genocide and to Caplaki, a tourist market where visitors can buy local arts and crafts. The Kigali Genocide Memorial Center houses a permanent exhibition of the genocide, being built on a site where over 250,000 victims are buried.